If you need the ability to print from a flexible array of mobile devices at a moment’s notice without compromising security, the WorkCentre 7800 series multifunction color printer is the ideal choice. 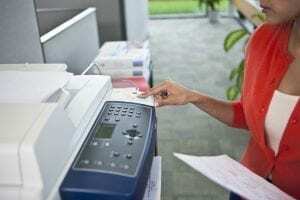 Featuring an array of security features, including network authentication and integrated Secure Fax / Email / Print / Copy, and an array of user access controls, rest assured that your data stays secure while your prints are completed. The WorkCentre 7800 series multifunction printers are scalable to office environments that need lightning fast printing with vibrant color. With a maximum color printing speed of 50 PPM, and a maximum black and white printing speed of 55 PPM, you’ll never have to wait for a print to finish again. The WorkCentre 7800 series is capable of handling a wide range of stock, up to 12.6 x 19 inches and weighing up to 300 gsm. This ensures that no matter what you have to create, the WorkCentre 7800 series multifunction printer will assist you every step of the way. 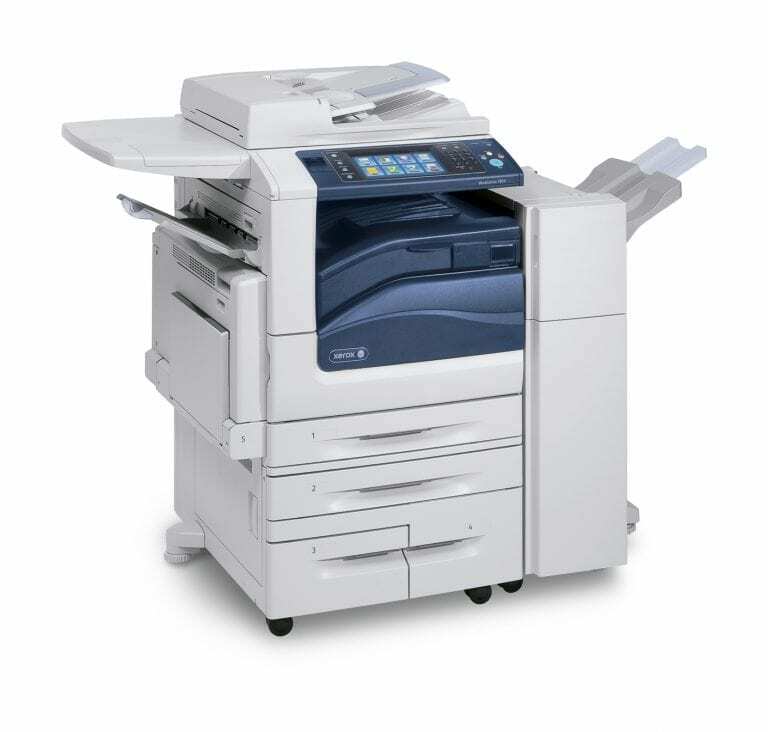 Xerox Mobile Print, Apple AirPrint, Android Print Plug-In, and optional wireless connectivity. Integrated 8.5 in. color touch screen. Paper size up to 12.6 x 19 in. and weight up to 300 gsm. 1200 x 2400 dpi print output resolution, copy output resolution 600 x 600 dpi. Black and white printing speeds of 30 PPM / 35 PPM / 45 PPM / 55 PPM. 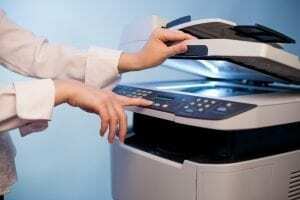 Color printing speeds of 30 PPM / 35 PPM / 45 PPM / 50 PPM. Single touch scan option. Scan to USB / Email / Network / Mailbox. Security features include Secure Fax / Email / Print / Scan, Access Controls, User Permissions, Network Authentication, and Security Protocol Integration. Integrated Cisco EnergyWise energy management system. Energy Star qualified. EPEAT qualified.